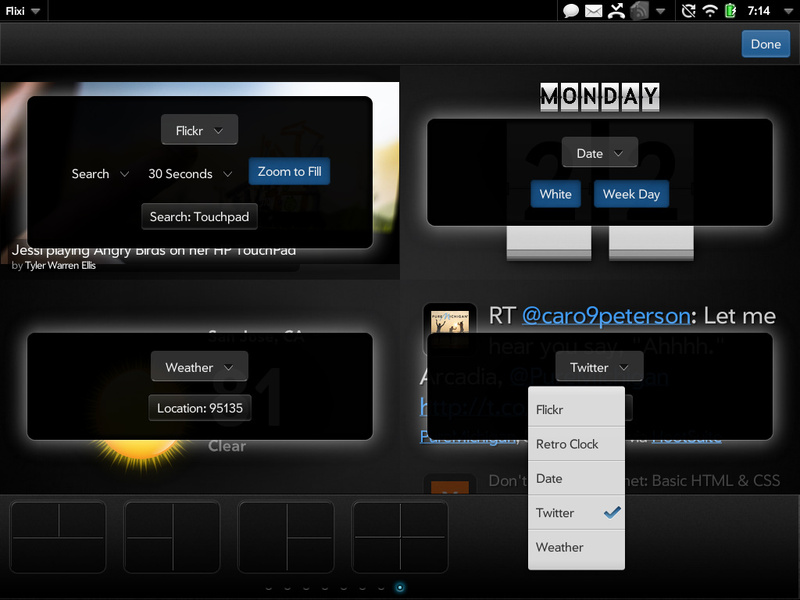 Flixi is a unique widget based Exhibition app for TouchPad. 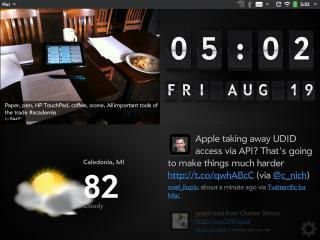 Build your own favorite screensaver: pick from a number of predefined layouts, fill them with widgets as you wish. All grown up and released for free into the wild.